Absolutely wonderful visit. Dr. Murphy had great chair side manners and was a joy to meet. Short wait time, nice office,and wonderful receptionists. Absolutely wonderful visit. Dr. Murphy had great chair side manners and was a joy to meet. Short wait time, nice office, and wonderful receptionists. Everyone at the office was very friendly and professional. Please don't ignore their recommendation to allow 90 minutes- there was a long wait to be seen, plus an additional wait to allow my pupils to dilate. For an annual appointment it is no big deal but choose a day when you can block at least 60 minutes. Everyone at the office was very friendly and professional. Please don't ignore their recommendation to allow 90 minutes - there was a long wait to be seen, plus an additional waitto allow my pupils to dilate. For an annual appointment it is no big deal but choose a day when you can block at least 60 minutes. Dr. Coreen Murphy is a board certified optometric physician. She attended Fordham University, then transferred to the State University of New York College of Optometry during her junior year, in order to begin her graduate studies in advance of her classmates. Dr. Murphy graduated from the State University of New York College of Optometry in 1994. 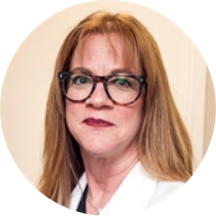 She has worked in the field of optometry and ophthalmology since 1986, when she worked in a group ophthalmology practice as a high school student. Dr. Murphy has extensive experience in post operative management of ocular surgery, including, cataract, LASIK and PRK. She is trained in a wide variety of the most advanced types of contact lenses, including multifocal, toric lenses for astigmatism, and hybrid lenses for keratoconus. Dr. Murphy is passionate about all aspects of ocular health, particularly dry eye diagnosis and treatment. Her other passions include being a self taught chef and practicing hot yoga. Everyone was nice and professional. Office was super efficient and easy to get to. Highly recommend. The wait was longer than expected but they quickly fixed that and were super nice the entire time. Great experience and look forward to my next yearly check up. Dr. Murphy has a very interesting personality and sense of humor. I liked her a lot. I love Dr. Murphy and the whole staff. She takes her time, listens and really puts you at ease!